As Connecticut residents continue to die from opioid overdoses at an alarming rate, there is some consensus in the medical community that being able to share health records electronically across the entire state would help fight the epidemic. A system to accommodate that sharing remains elusive, however. “We know drug seekers go to multiple emergency departments to try to get what they want,” said Dr. Michael Carius, who retired from Norwalk Hospital in 2015 after serving as its chairman of emergency medicine for 20 years. 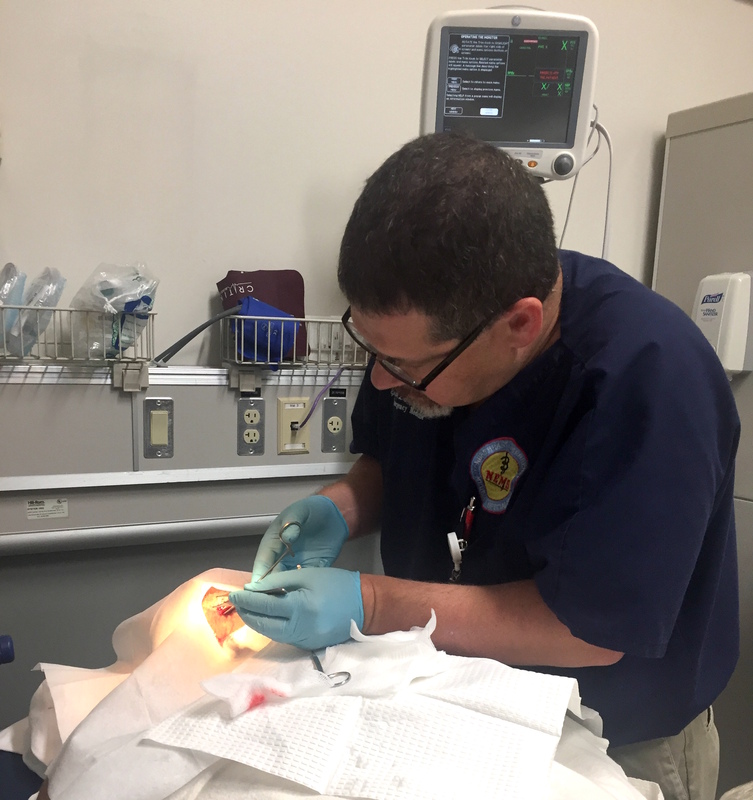 Carius now works part-time in emergency departments in Milford and Bridgeport. “If we don’t know if they’ve been to another emergency department to get drugs, we’re basically flying blind and taking their word for it that they haven’t been able to access other emergency departments or other health care facilities,” Carius said. Overall drug deaths in the state have nearly tripled over six years, from 357 in 2012 to 1,038 in 2017, according to a report from the state Chief Medical Examiner’s Office in March. Of those 1,038 deaths, 677 involved fentanyl — a synthetic opioid drug 30 to 50 times more powerful than heroin — either by itself or with at least one other drug. The chief medical examiner recently announced 515 overdose deaths in the first six months of 2018 and a projected total of 1,030 for the full year. Many hospitals and health networks have electronic health records, which allow information to be shared among hospitals and even primary care and specialty practices, but that sharing of information stops or has significant hurdles outside of the hospital or network. 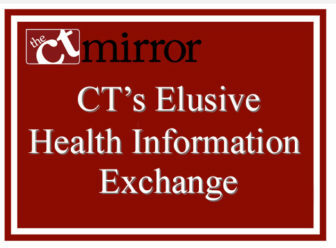 For that reason, over the past decade there has been an abundance of both public and private efforts in Connecticut to create a health information exchange (HIE) system that connects all entities across the health care industry, including hospitals, pharmacies, insurance companies, private practices and everything in between. After three failed attempts to create a complete, unified HIE by different state agencies between 2007 and 2016 and mounting frustration from private organizations, the landscape of health information exchanging efforts has become littered with many efforts that now need to be integrated in order to succeed. That is the goal of the state’s fourth attempt, led by the health information technology officer Allan Hackney, which began in 2017. Hackney said one of the top priorities for the exchange being designed by his team is to create a way for doctors and other providers to see in real-time all the places that a patient has gone seeking medical care, as well as visits to pharmacies and laboratories. Dr. Robert McLean, a rheumatologist in New Haven, said this would be one of the most useful functions of a statewide exchange. “Where the HIE can be very helpful is actually seeing what has happened in other hospital systems and potentially other doctor offices — like seeing whether there might be visits at other health care delivery locations that might indicate drug-seeking behavior or reveal the clinical reasons the prescriptions have been given, which may be quite medically appropriate,” said McLean, who is also the medical director of clinical quality at Northeast Medical Group of Yale New Haven Health System. Hackney said medication reconciliation is another priority. Medication reconciliation is a formal process for creating the most complete and accurate list possible of a patient’s current medications and comparing the list to those in the patient record or medication orders. The list would include controlled-substance prescriptions, including opioids, which are currently recorded in the state’s Prescription Drug Monitoring Program (PDMP). Pharmacists are required to report these prescriptions after they fill them. The PDMP is managed by the state Department of Consumer Protection. Hackney said the HIE design team is looking at embedding the drug monitoring program database in the exchange, so it would be less time-consuming for providers who are granted full-access to the program. Instead of having to log into an electronic health record and the drug monitoring program, it would all be in one place. Hackney’s team recently learned it has received a $12.2 million grant from the Centers for Medicaid and Medicare Services it needs to put 20-months-worth of planning into action. Dr. J. Craig Allen, president of the Connecticut Society of Addiction Medicine, said having information about a patient’s opioid use disorder could help save his or her life. Allen said, for example, if someone with a history of opioid use disorder went to the emergency department after bumping his or head during a car accident, he or she would be assessed differently. But doctors can only make that different assessment if they have the information. “This could be an opportunity for a life-saving intervention rather than a caution to return if the head pain worsens,” said Allen, who is a psychiatrist and addiction medicine doctor. Allen is the medical director at Hartford HealthCare’s Rushford Center, a substance abuse and behavioral health treatment center with multiple sites in the state. Federal law says that some providers and health care facilities have to get a patient’s consent before sharing his or her substance use disorder in a medical record, but that law doesn’t apply to everyone. The state’s HIE advisory council has discussed how privacy laws impact how a HIE works and prepared for compliance through a mechanism that allows providers to get consent from their patients and have immediate access to the information they need to treat. Dr. Gregory Shangold, an emergency medicine physician who chairs the Connecticut State Medical Society’s opioid committee, agreed with his colleagues that the more information a provider has, the better, but it has to be easy to use. The state’s medical society launched CTHealthLink, which allows for the complete exchange of electronic health records between practitioners, in 2017. Joining the exchange offers members a chance to receive incentives from Medicare and Medicaid for participating in a health information exchange. Although CTHealthLink is the only complete HIE operating in Connecticut, only three private practice groups are onboard. The Connecticut Hospital Association, in partnership with the Boston-based PatientPing, has also launched the Cross-Continuum Patient Reference System to help providers see in real-time where patients have been. The system is used by 25 hospitals, 350 outpatient providers, and Accountable Care Organizations. It allows these facilities to see what other facilities each patient has been to and what their primary diagnosis was at that time. These notifications give context around visit history but also provides contact information for previous providers instantly. Danielle Tarino, vice president of information technology at the nonprofit Addiction Policy Forum, said states across the country are lagging behind on developing HIEs. Many obstacles exist in designing and launching an HIE, she said. This includes getting providers to join the HIE, as well as “serious and valid” concerns about patient privacy and the security of systems. Tarino agreed that HIEs can be useful in combating the opioid epidemic, but said that it takes a lot to get one up and running. 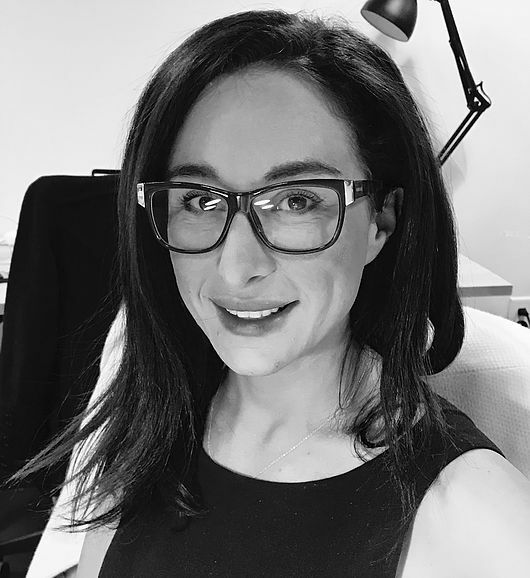 “Theoretically and ideally, in some far-away universe where there are an abundance of incentives, providers and medical communities using HIE models, providers may have better information on patients with substance use disorders (SUDs), or at risk for SUDs, and be able to obtain that faster and more efficiently,” said Tarino, who previously worked in health IT at the federal government’s Substance Abuse and Mental Health Services Administration. “From understanding diagnosis, to medication lists, to better communication with fellow providers, there are a myriad of ways that providers can intervene and assist patients with SUDs or who are in danger of developing one by having a larger set of information on a patient,” she said. Reporter Julia Werth contributed to this article.